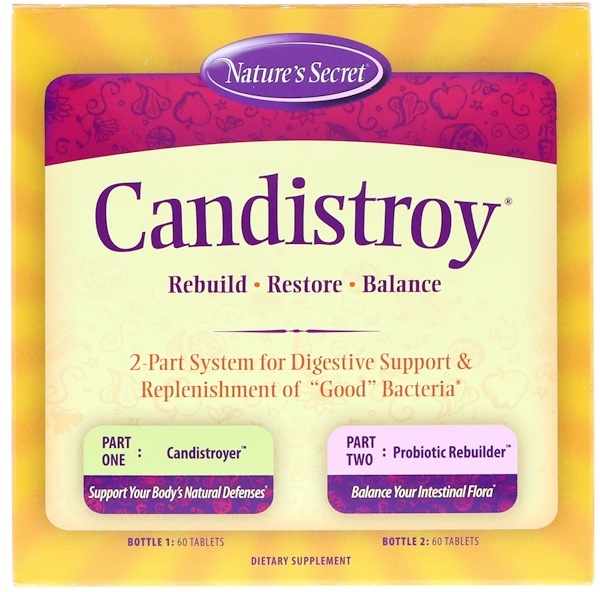 Candistroy is a 2-part system specifically formulated to support a healthy digestive tract. Eating a healthy diet (low in refined carbohydrates) and maintaining a healthy intestinal flora are two of the best ways to keep the digestive system healthy. However, when a poor diet high in sugar is present, imbalances in the digestive tract can occur. Candistroyer is formulated with a proprietary blend of botanicals. This formulation offers the benefits of herbs that have a long history of traditional use in digestive health formulas. Probiotic Rebuilder supplies Lactobacillus acidophilus and Bifidobacterium bifidum to help replenish "good" bacteria. It also includes Fructooligosaccharides (FOS) to further encourage probiotic growth. 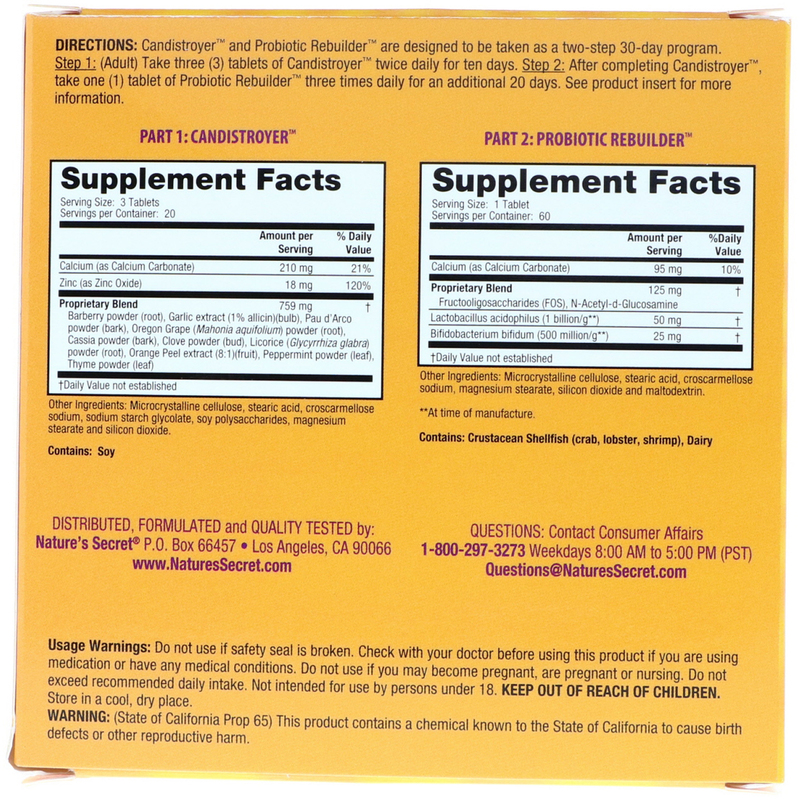 Directions: Candistroyer and Probiotic Rebuilder are designed to be taken as a two step 30-day program. Step 1: (Adult) Take three (3) tablets of Candistroyer twice daily for ten days. 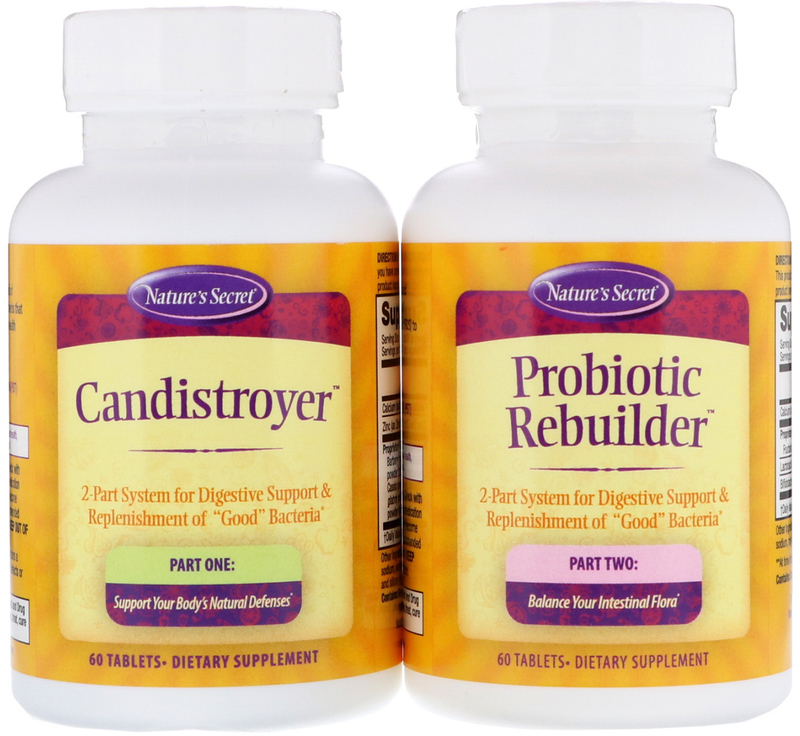 Step 2: After completing Candistroyer, take one (1) tablet of Probiotic Rebuilder three times daily for an additional 20 days. Part 1: Candistroyer: Microcrystalline cellulose, stearic acid, croscarmellose sodium, sodium starch glycolate, soy polysaccharides, magnesium stearate and silicon dioxide. Part 2: Probiotic Rebuilder: Microcrystalline cellulose, stearic acid, croscarmellose sodium, magnesium stearate, silicon dioxide and maltodextrin. Contains: Crustacean shellfish (crab, lobster, shrimp), dairy.